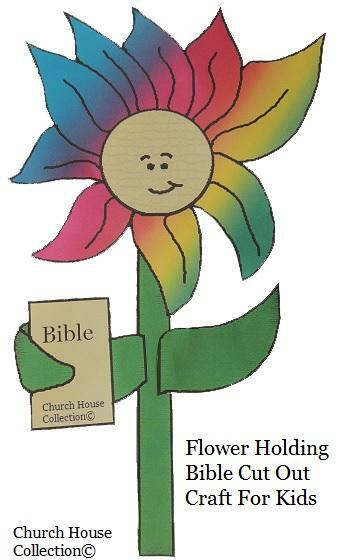 I made a Flower Holding A Bible craft for kids to cut out. 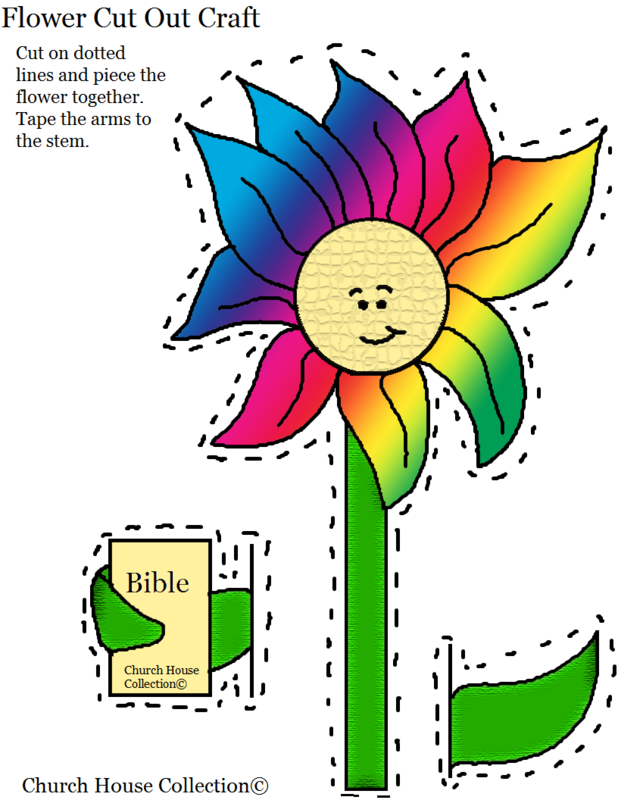 Have the child cut all three pictures out and then tape the flowers arms onto the flower. 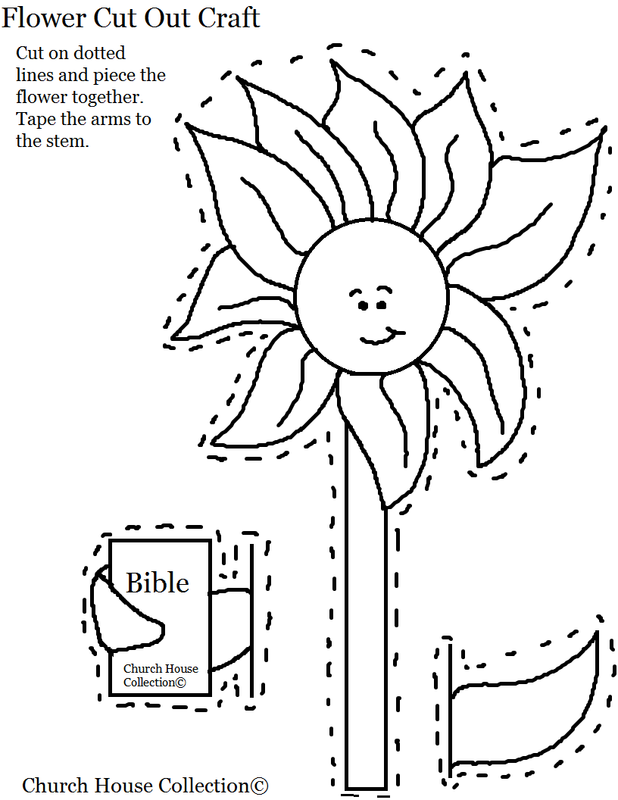 This is just an easy fun craft for small kids to do in Sunday school, children's church at home just for fun. I made two different printable templates below. You can pick a black and white one for the kids to color first. Or print the colored template if the kids don't have time to color or don't want to. 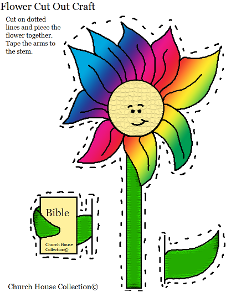 Spring Lessons- has coloring pages, lessons, crafts, snack ideas. 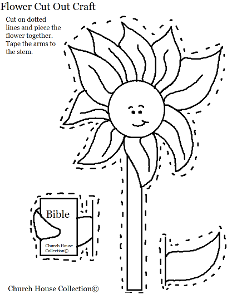 Summer Lessons-has coloring pages, lessons, crafts, snack ideas.